This defect may occur with all castings produced by means of a sandmolding process, regardless of the type of material used. This defect has also occurred in the areas of the cores; however, it is difficult to distinguish it from the phenomenon of penetration. Materials cast at high temperatures, are much more prone to this defect than aluminum casting alloys, for example. 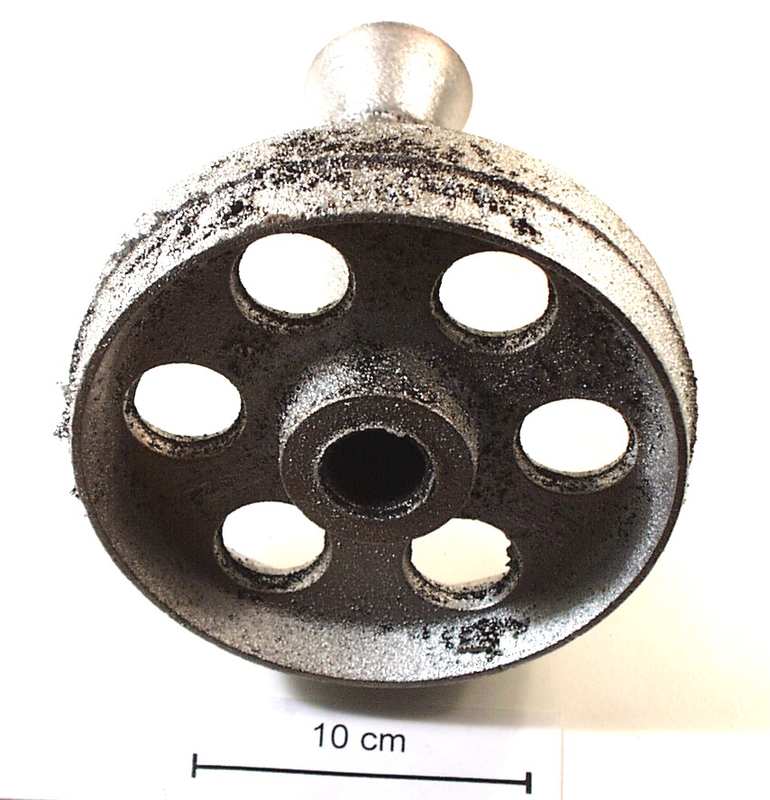 This defect mainly occurs in thick-walled, heavy castings and/or at the points with the highest temperatures, e.g. around the gate. This defect is characterized by thin crusts of sand in some spots on the casting surface (or in the core area) or by a consistent, thin layer of sandcovering the entire casting. These patches of burnt sand cannot be removed by abrasive blasting but only by grinding (Figures 1 and 2). This defect occurs if during the casting process the smelt can unrestrictedly penetrate the mold wall in the spaces between the grains of sand at the metal-mold interface. The result is a high degree of roughness in parts of or on the entire surface. The phenomenon of burnt sand may be caused due to uneven compaction of the sand (see compaction), too high metalo-static pressure (casting height too large), too high casting temperatures, too high degree of refractory lining (oolitization too high), or too low sintering point of the basic mold material. Moreover, grain size that is too coarse and lack of fine-grain substances as well as a high degree of wetting of the mold surface by the casting metal may be major causes for this type of defect. Chemical reactions of the casting material and the mold material are the main causes for this defect. They are promoted even more, if an oxidizing atmosphere is present in the mold cavity. If it is cast iron that oxidizes, for example, it reacts with the SiO2 in the quartz sand to form low-viscosity iron silicate (fayalite), which in turn promotes further burning on (see Chemical penetration). In this way, high thermal loads (casting temperatures, wall thickness) cause reactions of the mold surfaces (in contact with or in the proximity of the casting) with components of the mold material with a low melting point (bentonite, oolitic shells), which in turn results in formation of adhesive sand crusts on the casting. Burnt-on sand is predominantly formed if the lustrous carbon-forming capacity (see lustrous carbon former) of the molding material is too low. Impurities, such as too high contents of feldspar or silicates and oxides, may lead to burnt-on sand phenomena (Fig. 3). 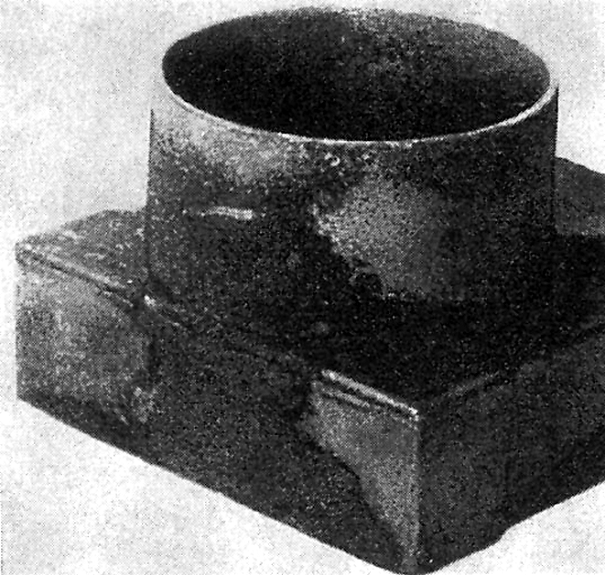 Roughness, burnt-on sand, physical penetration and chemical penetration cannot always be clearly distinguished and often occur simultaneously in one casting. The order in which the terms are specified above represents the severity of the defects. The most tenacious form of burning on is chemical penetration. It predominantly occurs during casting of cast alloy steel, with the physical and chemical reactions being enhanced due to previous ingress of metal vapors into the mold material. 1. Detection of the defect is possible by means of testing, e.g. for density of the mold, density distribution, permeability to gas and inspection of the sintering performance of the mold material components (see also mold sand testing). 2. Reduction of wetting of the mold surface due to increase in lustrous carbon-forming substances (carbon dust) and at the same time ensuring establishment of a reducing atmosphere in the mold cavity. 3. Test of degree of oolitization and adding of new sand, if required. 4. Testing the quantitative bentonite additive for oolitization and decreasing the quantity, if required. 5. Checking the proportion of dust in the conditioning system and reducing it in dependence of the binder quantity, if required. 6. 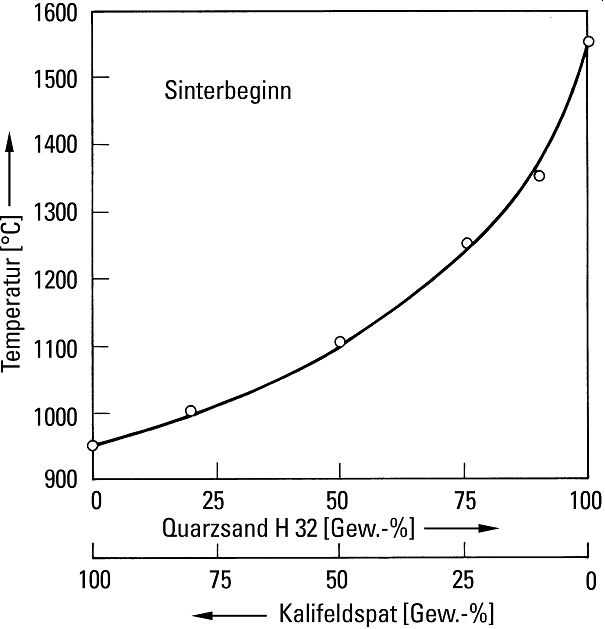 Using pure quartz sands (SiO2 content > 99.5 %), since the degree of impurities has a great effect on formation of the melt and thus on the sintering results. 7. Ensuring even compaction of the mold; above all, preventing local differences in compaction. 8. Preventing too high casting temperatures and too high metalo-static loads. 9. Using a suitable facing coat for such portions of the mold that are at risk, or for the entire mold, if required.